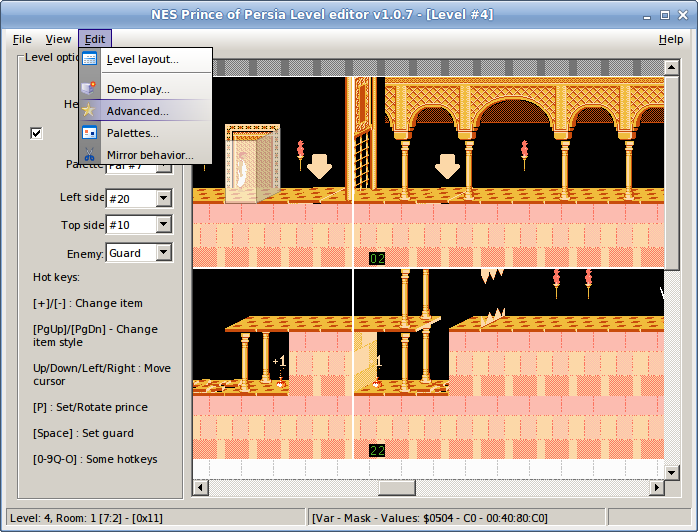 NESPrincEd is a Prince of Persia 1 for NES level editor for Windows. Released by Alexander (aka loginsin, aka ALXR). To use it, you'll also need to download a NES ROM image. 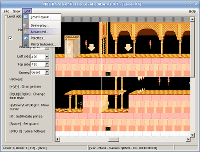 To change events (door links), use Ctrl + left mouse button; click twice for drop events. Making of information, in Russian: Ch. 1, Ch. 2, Ch. 3, Ch. 4, Ch. 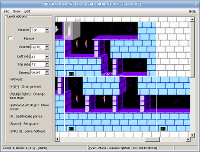 5, Epilogue.